Most experts agree that cloud is moving past the hype stage and starting to deliver tangible benefits, primarily increased flexibility and agility. But moving to the cloud can also mean added costs, some of which are unexpected, according to IT executives whose organizations have implemented or are considering cloud services. While these costs wouldn't necessarily prevent companies from getting real business value out of cloud computing, they could have an impact on the overall cost-benefit analysis of cloud services. 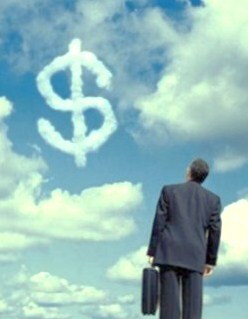 Half of respondents to a Unisys poll say cloud computing is their top IT investment priority for 2012. As businesses get ready to capitalize on emerging technology trends in 2012, cloud computing remains at the top of many companies’ lists: Fifty percent of respondents to a recent Unisys (NYSE: UIS) online poll said cloud computing is their top IT investment priority for 2012. This is the second straight year respondents to a Unisys poll named cloud as the chief priority for IT investments in the coming year. While there are important differences between a public cloud and a private cloud computing environment, industry leaders say the pros and cons of each aren't as significant as the fact that both options are available for businesses and enterprises. At the recent CloudBeat 2011 conference in Redwood City, Calif., executives of various companies delivering cloud technology and services said any combination of public, private or hybrid clouds may be the right solution for any company based on its needs. Responsiveness: Cloud computing gives IT the ability to respond to demands from business units faster than ever before. Efficiency and lower operating expenses (OPEX): By automating the provisioning of workloads and the control and management of resources, organizations see improved efficiencies and higher admin-to-server ratios (reducing OPEX). This automation allows organizations to present elements such as self-service provisioning to a line of business. On-demand elasticity: By controlling and managing resources, cloud computing reduces the need to design infrastructure for peak use. This allows resources to be scaled up when required and then recovered when the resources are no longer needed. Despite increases in cloud computing, 50 percent of companies are investing and planning over the long term to build or expand data centers that they manage as a corporate entity, according to a survey conducted by CoreNet Global and Newmark Knight Frank. The survey indicated companies are most concerned with risk management and business continuity when deciding where to locate their data centers. One result is a preference for most companies to maintain management of data center operations internally, and not to outsource the function. Cloud can add costs, which are unexpected, according to IT executives. It will help in the IT Industry.